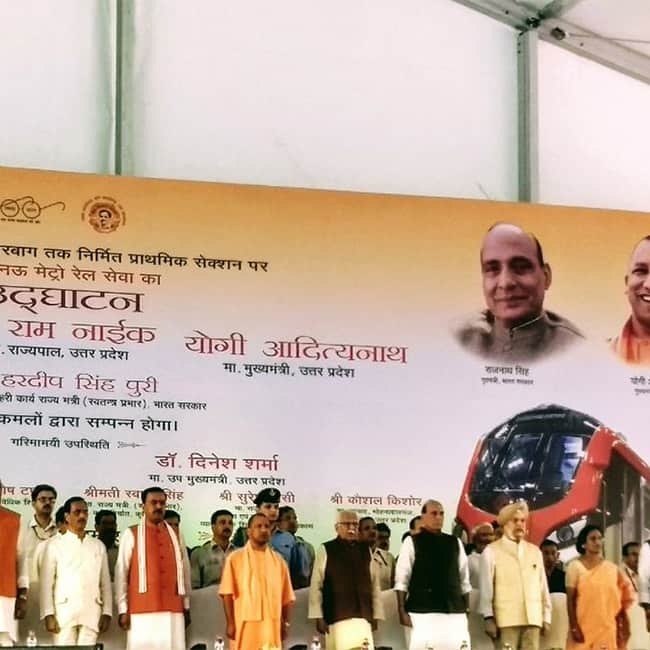 Home Minister Rajnath Singh and Uttar Pradesh Chief Minister Yogi Adityanath jointly flagged off 8.5 km stretch of the first phase of metro train in Lucknow. The metro services will be opened for public use on Wednesday on the 8.5-km-long 'priority corridor' from Transport Nagar to Charbagh from 6 a.m. to 10 p.m. every day. 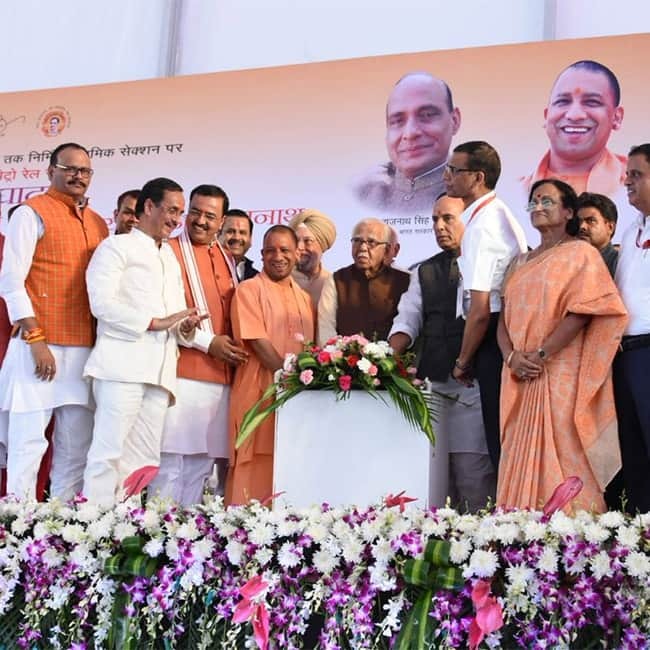 Expressing his happiness on the event, Adityanath said, "The wait for travelling in the Lucknow Metro is over. The services will be opened for the public use from tomorrow. The metro service will help reduce air pollution in the state capital in the long run, will contribute to savings in terms of money and time for the passengers."